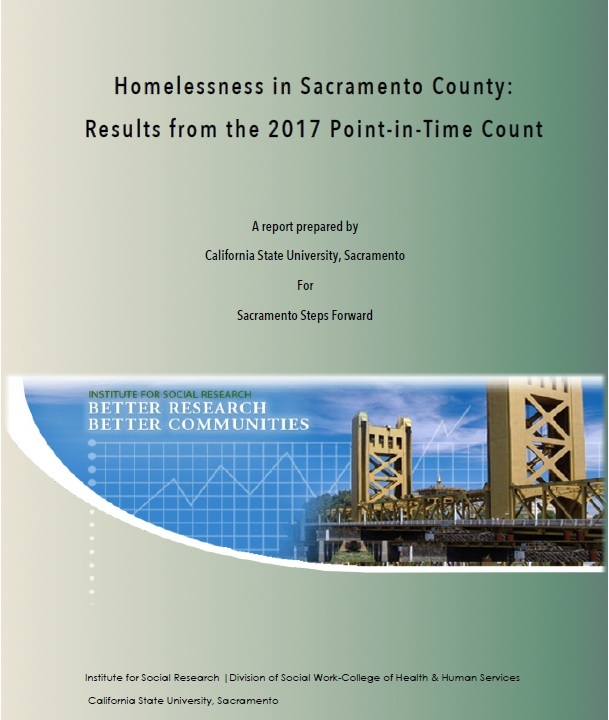 Despite housing 2,232 individuals and families who were experiencing homelessness in 2016, a new report commissioned by Sacramento Steps Forward and authored by the Sacramento State’s Institute for Social Research confirms that homelessness has increased across Sacramento county in the past two years. About Sacramento Steps Forward: Sacramento Steps Forward is a 501(c)(3) non-profit homeless service agency who, through collaboration, innovation, and service, is working to end homelessness in our region. About CSUS Institute for Social Research: Founded in 1989, Sacramento State’s Institute for Social Research (ISR) is an interdisciplinary unit that harnesses the power of scientific research tools to address social problems. Their research and analysis expertise, learned through the hundreds of projects completed for government agencies, nonprofit organizations and the academic community, provides the region with actionable information that can inform key policies and decisions.